It was a short walk today. We zipped up Bournemouth Pier. And then we looked west. We zipped back down the pier. 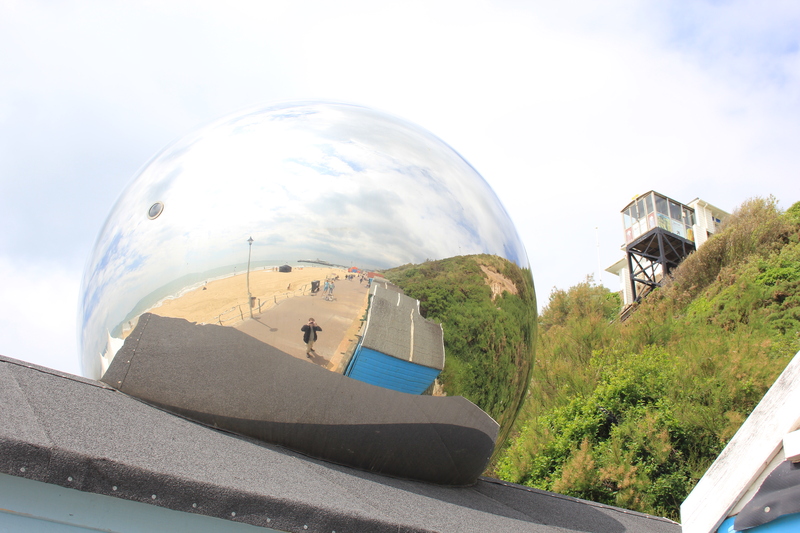 I stopped to take a picture of a strange ball bearing-like thing which sat on a roof. And that was largely it. 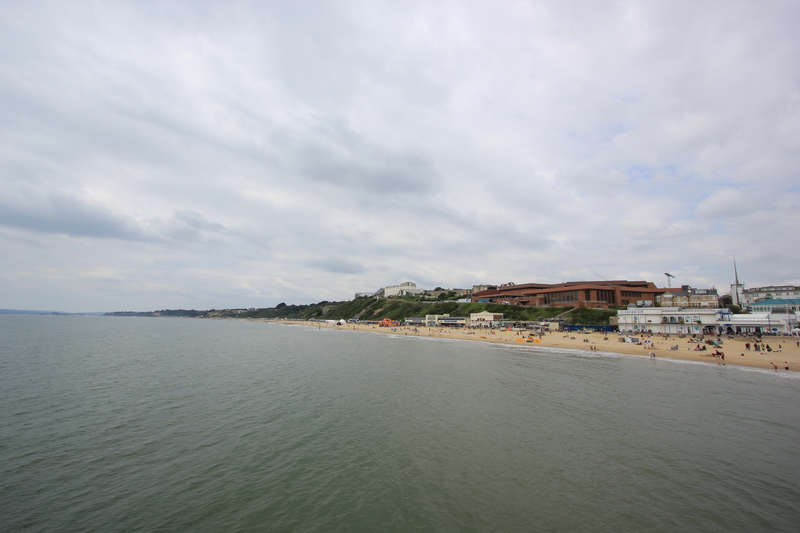 As we reached Alum Chine Deb said she could go no further. Her back was twinging. About 10 years before she had prolapsed three disks and spent several months in and out of hospital. We knew now to be very careful and called today’s proceedings to a halt. We didn’t know it at the time, but our walking for this summer was pretty much at an end. Deb had a prolapse relapse several days later. She managed to stay out of hospital but couldn’t do much for a couple of months. Even when she was able to walk distances again we decided to spend the rest of the summer strengthening her back rather than pushing on. 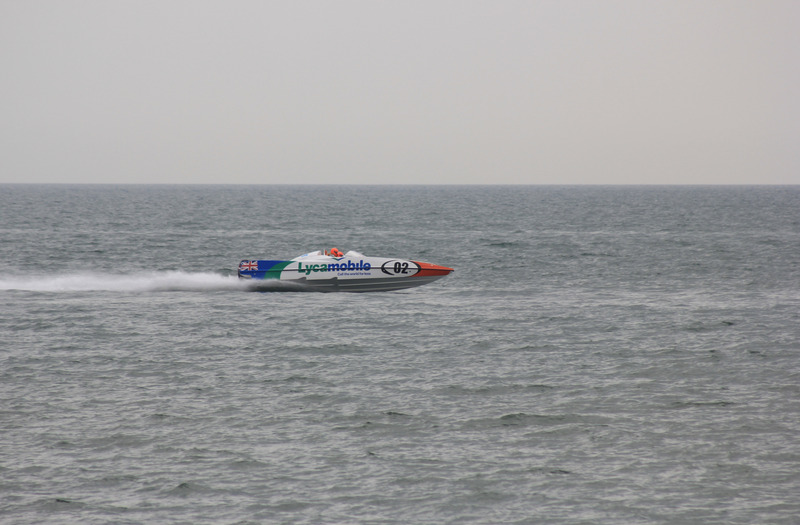 As I walked back to get the car there were powerboats racing up and down the seafront. It looked more fun out there than where we were right now, I thought. 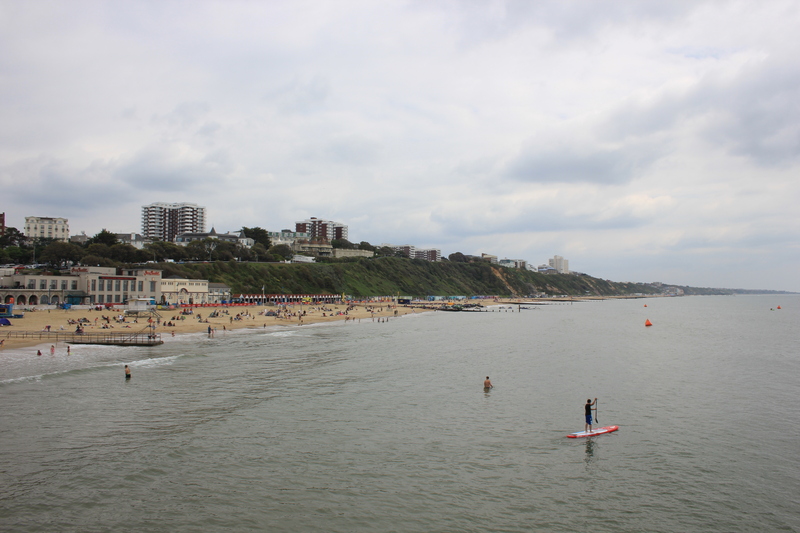 This entry was posted in Dorset and tagged Bournemouth, coast, Dorset, pier, power boats, walking. Bookmark the permalink. has changed my life forever 😦 I hope she is feeling better soon! Oh dear. So sorry to hear about your wife. How frustrating and painful. I hope – as we’ve now reached ‘the end of the summer’ – she’s on the way to recovery. Sorry to hear this. So near to the South West Coast Path too. Still you can look forward to it next year, hopefully.